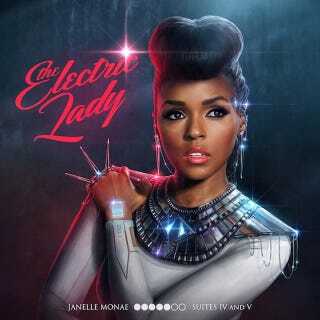 Janelle Monae is streaming her entire new album, The Electric Lady, online, and it sounds amazing. So good. Guests include Erykah Badu, Solange, Miguel, Esperanza Spaulding, and Prince. Yes, PRINCE! So far the bubbly "Dance Apocalyptic" and the steam-funk soul "Givin' Em What They Love" are my favorites.